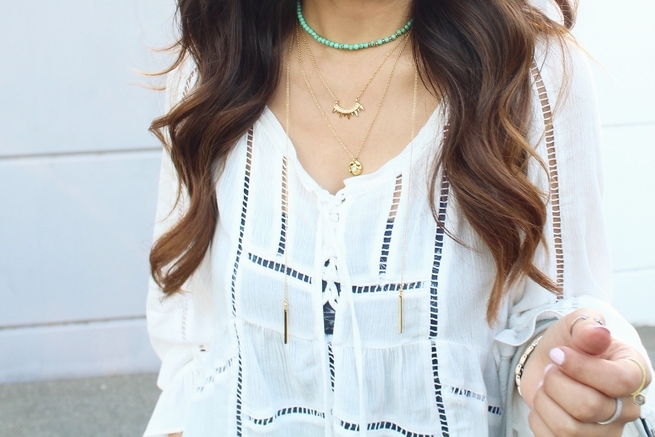 Today's blog post is all about the boho vibes. Since the weather has been warming up, all I've been reaching for are shorts and flow-y tops. This will be my summer outfit! Also, today's post is special because there is a giveaway- and it's a good one! So let's take a minute to talk about this gorgeous leather bag by Elliott Lucca. It is the perfect hobo bag! I love the buttery soft leather and simple design. But, best of all you can win one as well! More information below on how you can win your very own Elliott Lucca bag. 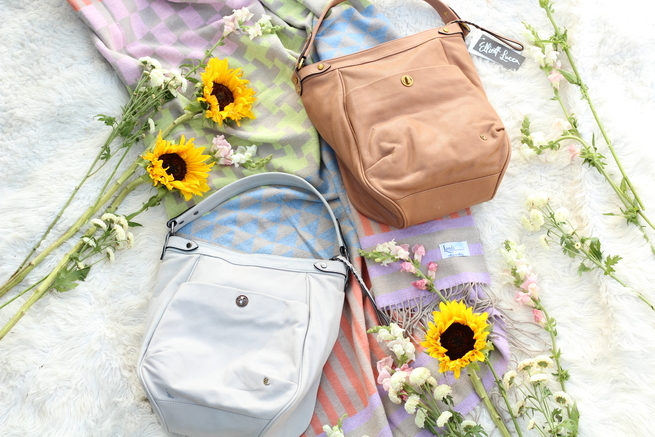 I've teamed up with eBags to give away this Elliott Luca Cerise handbag in the color Almond. All you have to do is fill out the form below. 1.Sign in with your email OR with Facebook. *There are also additional entries, once you have fulfilled the first two. Giveaway is open to resident of the continental United State, ages 18 or older. Void where prohibited by law. No purchase neccessary. Giveaway will run until 6/1 12am PST. Great with navy shirt and jeans. I would wear it with everything! This bag would be perfect with sundresses, shorts, jeans... anything. Thank you so much for the chance to win.